The author of the definitive biography Bernard Malamud: A Writer’s Life (2007), Philip Davis recently edited Bernard Malamud: Novels and Stories of the 1940s & 50s and Novels and Stories of the 1960s, two new volumes from The Library of America. Davis is Professor of English Literature and Director of the Centre for Research into Reading, Information and Linguistic Systems at the University of Liverpool. Why read Bernard Malamud, and why now? It was Saul Bellow who described himself, Malamud, and Philip Roth as the Jewish literary equivalent of Hart Schaffner & Marx, the first-generation rag-trade, gone upmarket. Of the three, Malamud is the great neglected figure—perhaps because there is no novel of his which has a huge dramatic canvas, such as Herzog or American Pastoral. But that is precisely the point: Malamud puts the big within the small, the extraordinary inside the mundane, the struggling, and the hurt. There are geniuses who tower above us: Malamud’s genius was different, more like that of an ordinary man, made extraordinary by his hard-won literary power. This is now a good time to renew American idealism and American heart in defense of the common and the unglamorous, in defiance of charges of old-fashioned sentimentality, through an unshowy literary care with words. I hope you won’t mind an Englishman presuming to remind you of this: I, a secularized Jew, the son of a shopkeeper, have loved Malamud from the other side of the pond for more than forty years. And that precisely because he himself had to learn how to love, through and in his writings. Malamud grew up in Brooklyn the son of struggling immigrant shopkeepers, and the Jewish immigrant background appears directly (“The Cost of Living” and The Assistant are both set in Brooklyn groceries) and indirectly in the subjects, characters, style, and cadences of his fiction. Yet asked if he was a “Jewish” writer, Malamud famously replied: “I’m an American, I’m a Jew, and I write for all men.” How would you describe the connection between Malamud’s roots and his work? He was not as well educated as Bellow, for all the unglamorous value of Brooklyn’s Public School 181 and Erasmus Hall High. Aged nine, he travelled forty-five minutes by himself to get to PS 181. Education was a privilege, but everything was a struggle. This meant that everything counted for more, not being easily won in that impoverished but humanly rich Brooklyn. He came of age really in the spirit of the Depression: the mix of suffering and goodness in Brooklyn never left him, and neither did his own fictional sense of a New Deal for us. He did not want to be labelled or ghettoized and dated: again it’s a matter of one thing hidden—you might say intentionally assimilated—inside another: the broader humanity within the narrowed Jewish lives, the sense of the Jews representing more than themselves in the Western tradition, in feeling, in morality, in law, in the old themes of suffering and redemption, in living by felt ideas personally come upon at the right time in a life. (That right time was often late for his characters but never too late. Malamud himself was a late starter.) Malamud believed in Jewish assimilation, he loved the American melting pot, welcoming and mingling the races and kinds. Philip Roth, commenting on the Library of America Malamud edition, writes that Malamud “has more than a little in common with Beckett—the eerie clowning, the magic barrel of unadorned prose, the haunting melancholy of stories about ‘things you can’t get past.’” As Malamud worked to claim the people and places he knew for American fiction, who were the writers, American and European, who strongly influenced him? 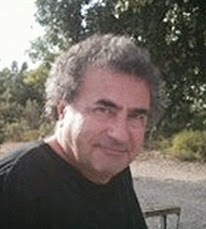 He was a profoundly American writer, loving the unstuffy democratic vibrancy of a free yet ethical country, and yet if you think about the humanist tradition in which he stands as a result of the diaspora, the writers nearest to his heart are Tolstoy and Dostoevsky, and George Eliot and Hardy, the Victorian realist novelists in their moral seriousness and straight strong compassion. You see this especially in the novels, his emotional masterpieces: in unashamed defense of good feelings, feelings struggling for good. In them we see America taking on the heart of Western cultural humanity in specific, unself-conscious situations of common life. But Roth is generously right about the strange mix of things in the work—the comic suffering, the unexpected life, the joyous possibilities hidden within the melancholy and oddly preserved by it in stubbornly innocent belief. Suffering spiced by the wine of comedy was how Malamud put it. Malamud didn’t fully flourish as a writer until moving to Oregon, where he wrote The Natural, The Assistant, and “The Magic Barrel” while supporting himself and his family teaching composition at Oregon State University. How did this inveterate New Yorker respond to the Pacific Northwest? 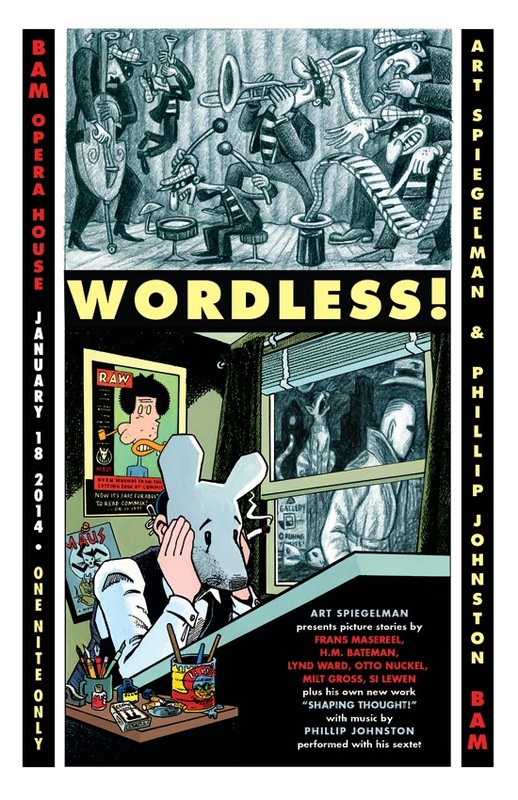 The “trouble” we caused is WORDLESS!, Spiegelman’s self-described “odd hybrid”: a multimedia extravaganza featuring slides, talk, movies, and musical performance created in collaboration with acclaimed jazz composer Phillip Johnston. In his introduction to Six Novels in Woodcuts, Spiegelman wrote that Ward is “one of only a small handful of artists anywhere who ever made a ‘graphic novel’ until the day before yesterday.” WORDLESS! brings together that handful of illustrators—Frans Masereel, Milt Gross, Otto Nückel, and Si Lewen, in addition to Ward. The innovative performance also showcases new original work by Spiegelman.